If you are looking for the first SUV from the Ford Performance Team, check out the Ford Edge which is a thrill to ride with the brains to match. 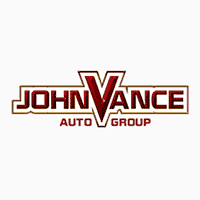 Vance Country Ford in Guthrie is just a short 10 minute drive north of Edmond, OK and 30 minutes ride from downtown Oklahoma City, OK. Find out why Vance Auto Group has been faithfully serving Oklahomans for over thirty years. We treat our customers fairly, honestly and loyally. It is worth the short drive from Edmond or Oklahoma City to experience the small town friendly service with the big city selection. We have 9 full service dealerships with tons of new and preowned inventory to draw from. Our Ford dealership in Guthrie is the place to test-drive the brand new Ford Edge SUV. The Ford Edge is style, ride and tech combined with its 19 MPG in the city and 26 MPG on the highway. It boasts a 335 Hp with a 380 lb-ft torque, a 2.7 L V6 turbo charged EcoBoost engine for a smooth fun drive. The Ford Edge seats up to five passengers in comfort and style. Introducing Ford Co-pilot 360 technology for a better driving view all around, the Edge ST can even launch a sport mode for a thrilling drive experience. It is built to impress. Check out all our Edge models—the SE, SEL, St and Titanium. The Edge offers more driver-assist features than any other mid-size SUV, including available Lane Centering, Evasive Steering Assist, Auto Emergency Braking, Adaptive Cruise Control with Stop and Go, Rear View Camera, Blind Spot Info System, and Cross Traffic Alert. Find out about all the latest technology available at your touch while driving a new or used Ford Edge. Call us or visit us at Vance Country Ford in Guthrie to see why we keep serving Oklahoma through decades of putting our customers and friends behind the wheel of their dream cars. Our sales reps are helpful not pushy. Drive on out to Guthrie to take a Ford Edge for a spin. We hope to be serving you thirty years from now.